KEEP OUT OF REACH OF CHILDREN DO NOT USE IF SAFETY SEAL IS DAMAGED OR MISSING.STORE IN COOL DRY PLACE. Do not exceed recommended dose. 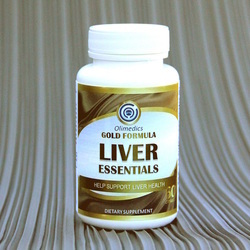 Pregnant or nursing mothers, children under 18, and individuals with a known medical condition should consult a physician before using this or any dietary supplement. If you are taking a birth control pill, are considering becoming pregnant or have questions about the advisability of taking this product, consult your physician prior to use. This product is manufactured and packaged in a facility which may also process milk, soy, wheat, egg, peanuts, tree nuts, fish and crustacean shellfish. Active Ingredients: Milk Thistle, Dandelion Root, Alpha-Lipoic Acid (ALA), Methionine, N-Acetyl-L-Cysteine (NAC), Grape Seed Extract, Picrorhiza kurroa, Turmeric, Parsley Root, Black Radish Root, and Burdock Root. Inactive Ingredients: Vegetable cellulose (capsule), maltodextrin and medium chain triglycerides.